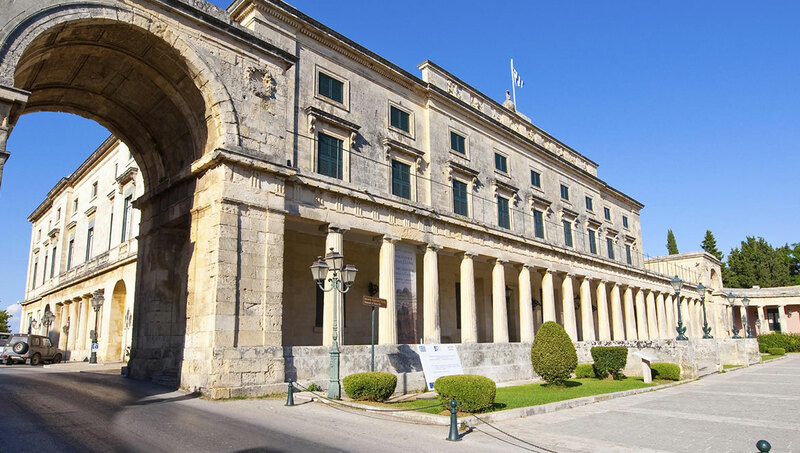 Corfu Museum of Asian Art is the only museum in Greece, which is dedicated to art and antiquities of Asia since 1928, the year of founding. It is housed in the Palace of Saint Michael and Saint George in the Greek island of Corfu. The Palace is the largest and the most significant building of the English rule period (1814 – 1864) and one of the greatest monuments of neoclassical architecture in Greece. It was founded in 1928 as the Museum of Sino-Japanese Art, following the donation of Gregorios Manos’ Sino-Japanese collection to the Greek state. Since that time, the Museum has been a pole of attraction for many other donations, resulting in its collection currently comprising approximately 15.000 works of Asian art form private collections and individual item donations. The 1973 Hadjivassiliou donation, in particular, with the addition of 400 works from India, Pakistan, Tibet, Siam and Southeast Asia, changed the Museum’s strictly Sino-Japanese profile and led to it being renamed to the Museum of Asian Art. In 1980, the collector Charilaos Chiotakis donated 400 Chinese export porcelain objects to the Museum. The Corfu Museum of Asian Art, Chinese collection includes about 3,500 items. These exhibits include pieces of pottery, porcelain, and brass works of art, sculpture, cloisonné, lacquer objects, ivory, miniatures, clothing, jewelry and coins. A selection of the Corfu Museum of Asian Art, Chinese collection is exhibited in the east wing of the first floor. The Museum Japanese art collection covers a wide range of works from the prehistoric period (13.400 BC) to the 19th century. It includes a variety of outstanding artefacts of ceramics, textiles, miniatures, ukiyo-e woodblock prints and paintings. The new permanent galleries of Japanese Arts on the second floor of the museum includes examples of early and late Japanese pottery, religious figurines, Samurai armour and the art of the everyday life.